The first step is to do a fiber analysis, shortly after ,we determine which fibers we are cleaning. We select appropriate cleaning agents to do the best job possible (Note: There is not one cleaning agent that works on all fibers. Each fiber requires a different cleaning agent). Pre-vacuuming is extremely effective in the cleaning process. 80% of the cleaning is done by vacuuming it self. Then we pre-spot any stains that would be difficult to remove. We precondition the carpet with the appropriate cleaning agents, scrub and agitate the carpet if necessary. Next, we determine wether to clean the carpet with either a typical wand, or a Roto vac. 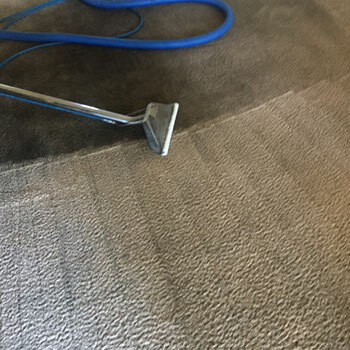 Our truck mount unit generates up to 240° of heat which not only does it easily remove the dirt, sanitize the carpet, but it also helps in the drying process. 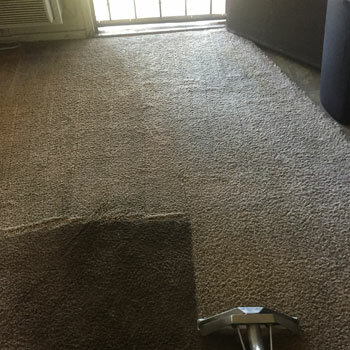 Once we are done cleaning we apply a neutralizer in the carpet to remove any residue, and then we groom the carpet which helps in the drying process that strengthens the tufts in the carpet, but also beautifies the carpet. We add minimum moisture and optimize drying, and leave the carpets at a neutral pH, which means no residue is left behind.